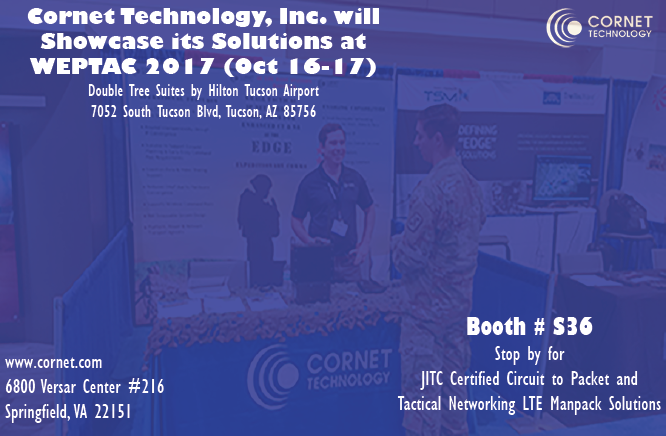 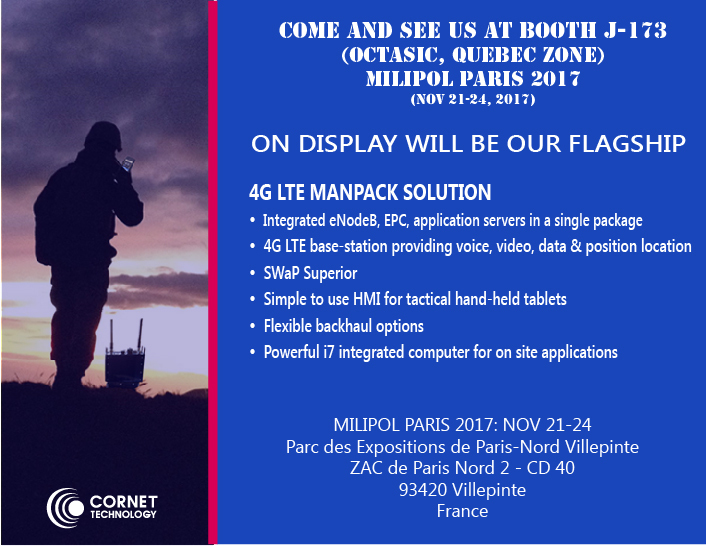 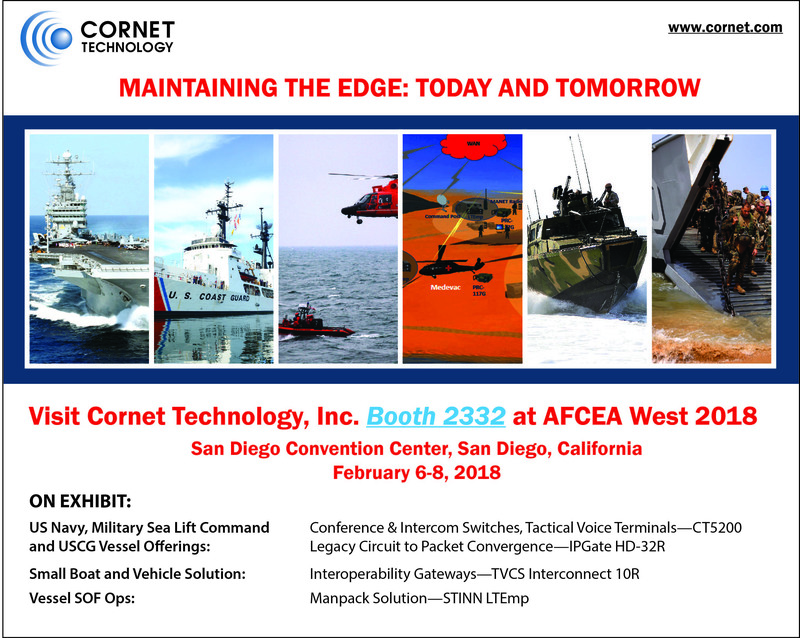 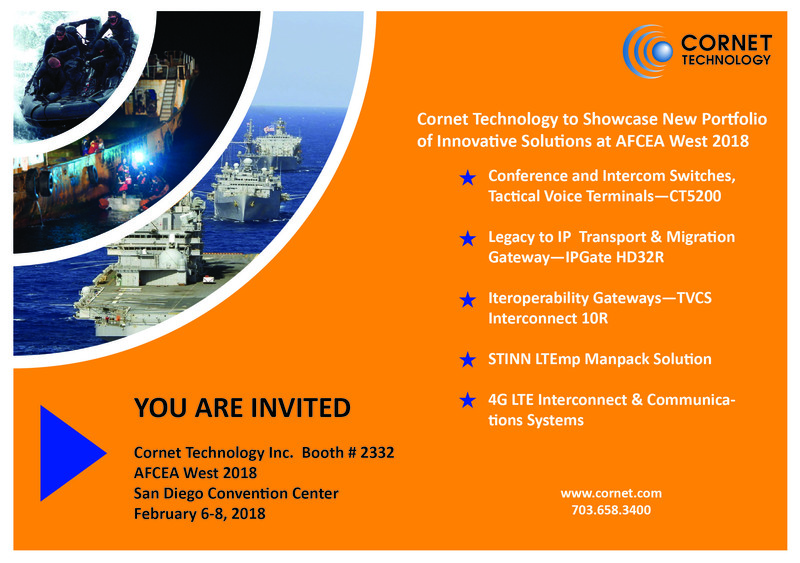 Cornet Technology will be display at booth No S36 at WEPTAC 2017, to be held at Tucson, AZ. 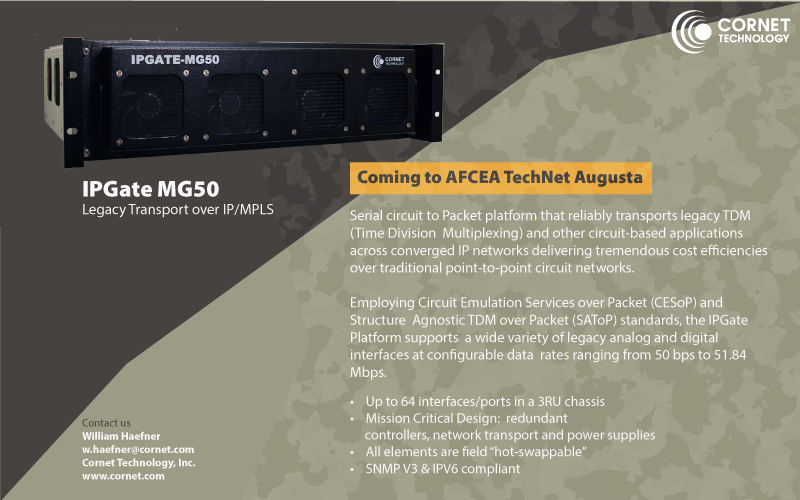 Our flagship products, STINN LTEmp and IPGate-MG50 will be on display. 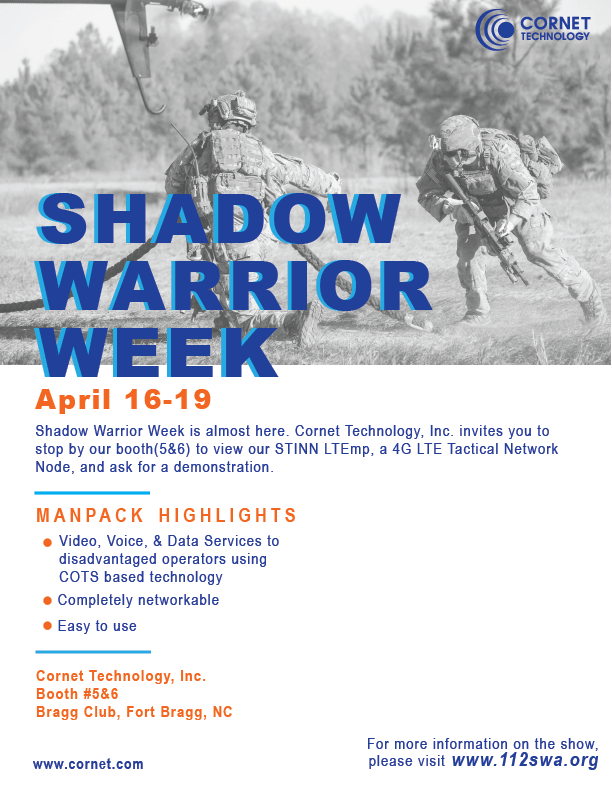 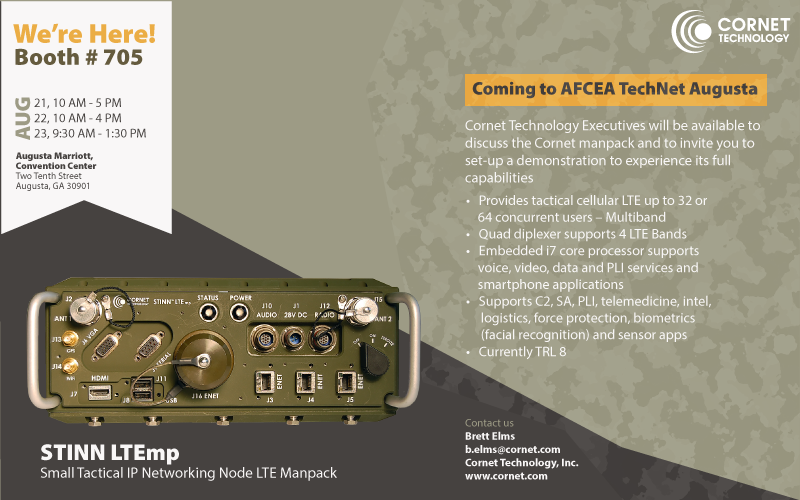 Our team of experts will be present to demonstrate and explain our tactical communications solutions.